RICHARD SOLOMON ARTISTS REPRESENTATIVE: Burns & Noble - The Simpsons pays tribute to Mark Summers? Burns & Noble - The Simpsons pays tribute to Mark Summers? 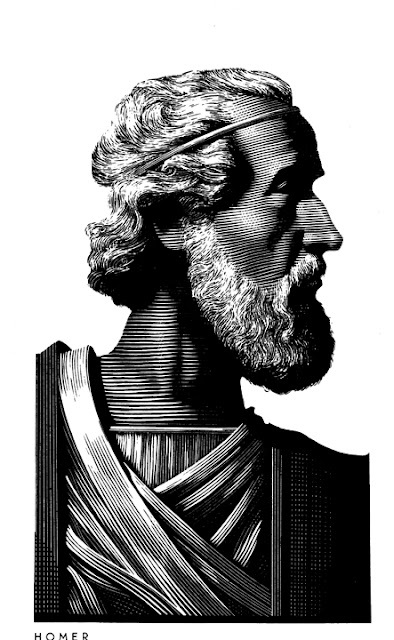 Although Barnes & Noble is one of the most popular book stores in the world, it is the artwork of Mark Summers that helps make it so recognizable. 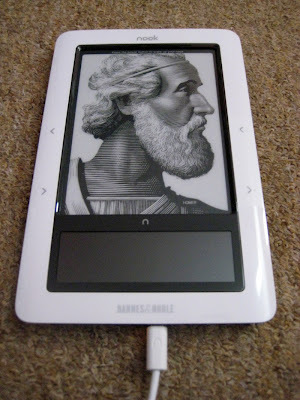 Years ago Mark did numerous portraits of authors for them that they now use on every Nook (their version of an e-reader) as well as other products. 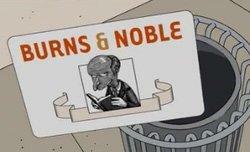 So when The Simpsons decided to reference to Barnes & Noble in their version "Burns & Noble", it is no wonder that they used a Mark Summers style portrait to further the likeness to popular store (and thus inadvertently paying tribute to Mark). We think its great his illustration has such a broad distribution. 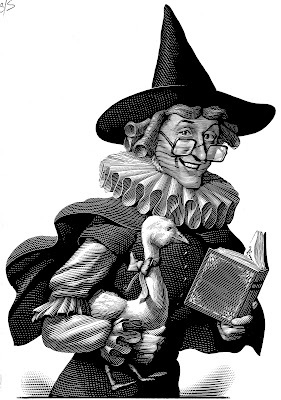 Mother Goose, another B&N portrait (if we included all the portraits, this blog would go on forever). I would be ok with the article going on forever.